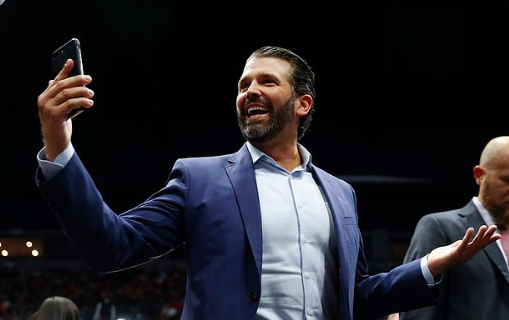 Donald Trump Jr. just threw some major shade at Avenatti at his father's political rally in Michigan, joking that Michael's presidential ambitions took a serious hit this week. Junior jokes that Michael went from "Avenatti 2020 to Avenatti 20 to 25" ... clearly hoping his foe is going to prison for his role in the alleged extortion plot. Michael Avenatti was loaded for bear Wednesday night, proclaiming his innocence in the extortion case, proclaiming that the R. Kelly case would be unaffected by the extortion case and proclaiming it's only a matter of time before top Nike execs would be led away in handcuffs. Speaking much later on to the press, Avenatti said all the talk that his indictment will torpedo the R. Kelly prosecution is BS ... because the evidence is the evidence is the evidence. And then, he talked Nike. As you know, he's been accused of trying to extort the shoe company for more than $20 million in return for keeping his silence on alleged misdeeds -- specifically, Nike secretly paid off the families of star high school basketball players in order to direct them to Nike-sponsored colleges.